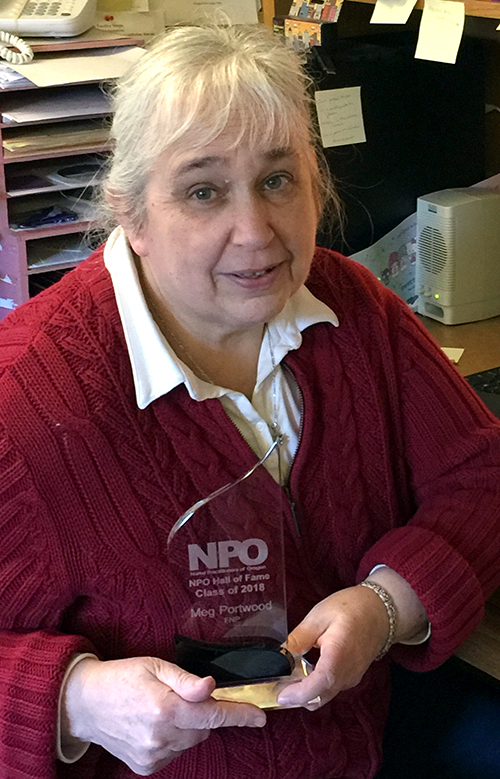 Congratulations to NPO’s 2018 Hall of Fame Inductee Meg Portwood! Meg is one of Oregon’s original NPs and was recognized by the Hall of Fame committee for her many contributions to patient care, NP practice and her work precepting numerous NP students throughout her 40-plus year career. We honor Meg for her extraordinary work and impact on our profession.